John Tyler has never met Sarah Sheridan, but he knows he must find her, and somehow convince her that she is the key to unlocking the power of an ancient ritual that will rid his body of a rare and ravaging disease. 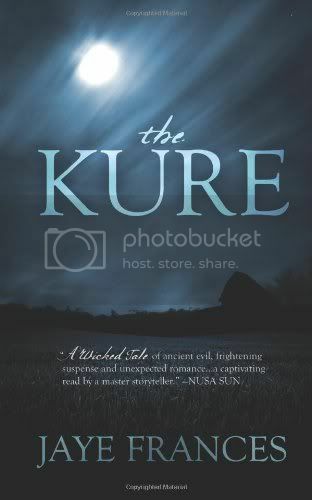 The Kure is a very well written and well researched book. When I received a copy of this on ebook to review I was not really sure I would like this book but took a chance and decided to review it. Boy am I glad I did. I very much enjoyed this book and I was hooked from the very first chapter. This book is not for everyone because it is disturbing and not for those with weak stomachs.